When the original Homefront released in 2011, it fell short of the narrative mark it was aiming for. Instead of depicting an America living under the brutalities of a superior Korean occupation force, the game instead focused more on cheap thrills and Hollywood moments. The time spent in this world was also cut short due to a campaign that lasted for only a mere few hours. Despite a turbulent development cycle, Homefront: The Revolution has arrived and marks a complete reboot for the series. However, even with this new direction, Homefront has once again missed the mark. This time for a whole new set of reasons. Instead of continuing on with the story established in the original game, The Revolution starts anew with an alternate history depicting the 1970’s digital revolution taking place in North Korea rather than California’s “Silicon Valley.” Thanks to these technological advancements, the APEX Corporation became a worldwide leader in digital products for eager consumers, and eventually expanded into futuristic weaponry that the American military heavily invested in. Plagued by ongoing war debts and a failing economy, the US is eventually forced to default on their debt to North Korea, and in response, APEX utilizes a secret backdoor protocol to shut down the entire military. With the country defenseless, North Korea uses that opportunity to invade under the pretext of offering humanitarian aid, which leads to the eventual occupation. The decision to ditch the original storyline is a strange one, especially since the new explanation of North Korea’s occupation is a lot more convoluted. It’s hard to believe that a major superpower would supply their entire military with foreign products, and even harder to believe that no one would ever catch a failsafe. Unfortunately, the narrative only goes further downhill from here. The Revolution is plagued by the same issues that its predecessor had; that more emphasis is placed on over-the-top, eye roll-inducing action movie nonsense than portraying a dark and gritty war-torn America. The main cast of revolution leaders surrounding voiceless protagonist Ethan Brady don’t do much to improve matters. Each of their personalities are defined by over exaggerated stereotypes that make them all extremely hard to relate to or care about. Frankly, it was an awkward experience when the story tried to be emotional and there was just no reason to give a damn. What’s worse about the story’s lacking is that the atmosphere is one of the game’s better features. Free from the shackles of chopped up linear levels, the open-world of The Revolution more accurately depicts a ravaged environment. Disheveled streets are scarce of any life, buildings are destroyed, looted, and left to wither away, and the city of Philadelphia seems to be stuck in time as war rages on throughout it. American citizens have been reduced to living in broken down homes and shanty communities, and roam the streets with no real sense of direction other than avoiding confrontations with Korean soldiers. While things do look bleak on the surface, there is very little AI interaction no matter what the circumstance may be. During the moments when citizens happen to be rioting, it really breaks the immersion that Korean soldiers often just stand by and observe. And vice versa, rioters never seem to have an impact other than meaningless actions like beating cars with bats and other minor nuisances. It's the vast numbers of resistance fighters who take more of an active role against the Korean occupiers, and whom regularly engage in firefights. The amount of friendly support you can expect depends on how much you’ve won over the “Hearts and Minds” of each zone, by completing acts of sabotage, destroying armored units, and spreading the message of the resistance radio. Each zone is also split into sections that are controlled by key enemy locations known as Strikepoints and Strongholds, and taking control of these leads to regaining a section of the zone. The premise is very similar to that of The Saboteur in which doing enough damage to the German occupiers in France would return color and control to your surroundings. 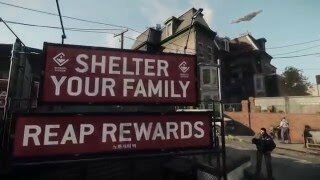 For Homefront, this mechanic seems contradictory of what the game is supposed to be all about. As soon as a section is secured, resistance fighters are out in the open in such large numbers that it becomes questionable as to why a full frontal assault isn’t possible. Despite being advertised as a game about guerilla warfare, there seems to be very little of it. The first formal mission of the game depicts setting up an ambush on an enemy convoy with other resistance fighters, but after that much of the game is very much a one-man run and gun show. Creating remote controlled explosive devices is one of the few portions of the game that actually feels the part. No matter how tired other aspects of the game became, there was always something special about maneuvering an RC car underneath an armored vehicle and blowing it to bits. Weapon customization is also a key part of the gameplay, featuring the ability to swap out attachments and modify weapon types on the fly. However, these weapon types and attachments are largely just purchased from weapon lockers as opposed to being crafted from objects scavenged throughout the city. Having the ability to use every weapon and attachment by the halfway point in the game watered down the concept of being outmatched by the Koreans. The Revolution’s gameplay also suffers largely due to its terrible performance. It is arguably one of the worst games performance-wise on the Xbox One this year, and there have been plenty of issues reported on other platforms as well. The most notorious issue is the constant freezing that takes place any time a mission is completed, a new mission is assigned, or when exiting the gun lockers. Considering all three of these happen plenty throughout the game, it is an issue that constantly has to be dealt with. Long loading times are common as well. In some instances, I clocked the duration as taking as long as 5+ minutes from hitting “Resume Story” to actually getting back into the game. The wait was so long in some cases that the background soundtrack ended before the loading was complete. It also took several attempts to play the very last portion of the game due to a cutscene ending in a black screen that would then not proceed. Poor gun control and strange enemy detection also made attempts to play portions of the game in stealth a complete nightmare. While the original Homefront’s campaign proved to be lackluster, its multiplayer mode was fairly enjoyable to keep coming back to. However, The Revolution left competitive multiplayer behind for a four-player co-op experience called Resistance Mode. Set across a handful of maps, Resistance Mode is a set of self-contained missions that range from rescuing other resistance fighters to escorting a convoy of armored vehicles. Completing these missions rewards the player with experience points and money that is used for upgrading character skills and buying new weapons, attachments, and clothing items. It’s enjoyable to tackle the ruins of Philadelphia with other players, but Resistance Mode lacks a lot of depth. Most of the missions are over in a matter of a few minutes, and with the only variance being different difficulty settings, you’ll be replaying the same maps over and over without any real change to make it compelling to return to. The problem here is not that competitive multiplayer was exchanged for cooperative missions, but that it seems to have been done in a really lackluster manner. Unfortunately, Homefront: The Revolution is full of a lot of these moments. Dambuster Studios managed to salvage the troubled development of Homefront: The Revolution, but for many reasons it seems like the damage has already been done. Although, the second title in the series made a promising step forward by changing to an open-world setting, it still missed the right vibe that a game about resistance fighters in an occupied America should be giving off. Any promise that the game showed was ultimately overshadowed by far too many nagging performance issues, which perhaps hints that the game was pushed out the door before it was ready. Through and through there is nothing in Homefront: The Revolution that hasn’t been done before, and done considerably better. The portrayal of an occupied Philadelphia is far better than anything the original game contained. However, there was a real lack of AI interaction to really sell it. Most Korean soldiers and citizens come off more as set pieces than actual existing people in this world. Many of Homefront’s mechanics feel dated and have been done better before in other games. While the game gives off a “resistance guerilla fighting” vibe, very little of the gameplay actually follows that blueprint. The new story of the Korean occupation is far more convoluted than the original game laid into place. The goal of reclaiming Philadelphia often takes a backseat to other narratives, and many of the main cast of characters have very unlikable personalities. A four-player cooperative Resistance Mode has replaced the multiplayer mode if the previous game, and while fun for a period of time, it does not offer much replay value. 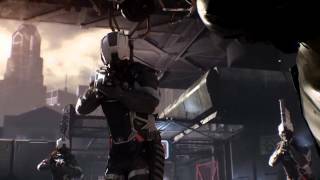 Additional maps and longer missions would be a good idea for future DLC. Possibly the worst major releases on the Xbox One this year. Every playthrough is plagued by several momentary freezes during standard moments. Many achievements also are not tracking and unlocking properly. Homefront: The Revolution is ultimately plagued by far too many performance issues than should be considered acceptable. While the game shows promising flashes, it falls in the shadow of its predecessor by failing to create a memorable tale of an occupied America. 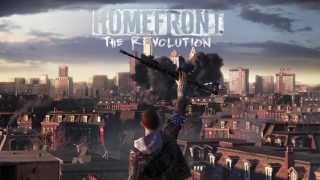 "Not the spark the revolution needed"
Homefront: The Revolution is ranked #1357 out of 1436 total reviewed games. It is ranked #129 out of 138 games reviewed in 2016.